Did you know ho ho ho? Whether your pet has paws or claws; feathers, fur or fins it’s their Christmas too. 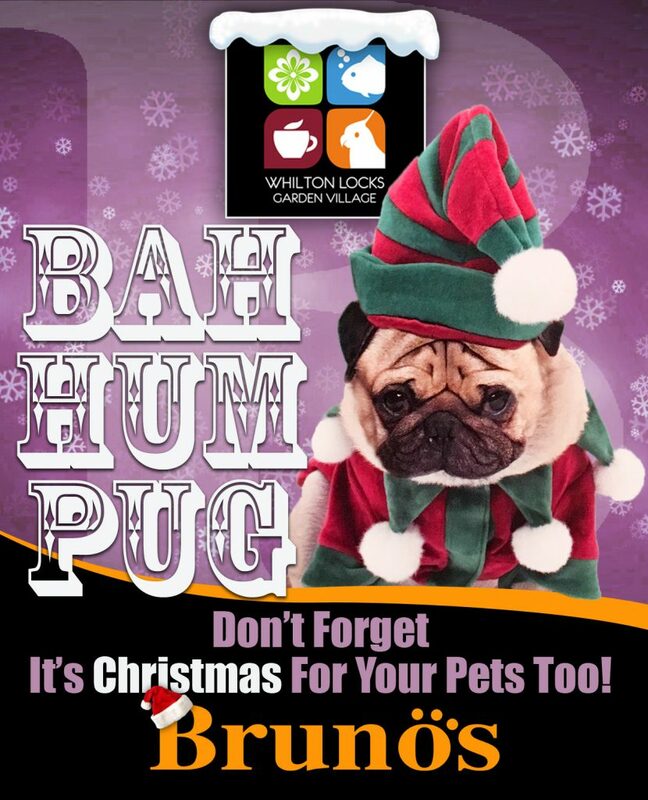 At Brunos, our Pet shop right within the heart of Whilton Locks Garden Village we have a whole host of gifts, tasty treats and presents for your perfect pet. We take pride and our experienced and helpful staff are always ready to assist you. If we don’t have something in stock we can usually order it for you – just ask! Pet Friendly – Bring Them Too! Our site is a dog friendly establishment; come to think of it an animal friendly centre. Our staff are always keen for cuddles and eager to meet your ‘weird and wonderful’ companions. Perhaps just not on the ice rink! ← Did you know ho ho ho?